Fascinating insights into the genetics underpinning early onset hair loss have come from a huge study conducted by a team from the University of Edinburgh. Encouraging news for bald men and their boys everywhere. 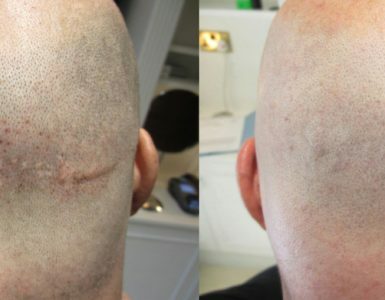 With access to the world’s largest database of it’s kind, researchers at the University of Edinburgh set out to search for the genetic markers that would enable them to produce a predictive test for early onset baldness in men. Their plan was bold, they would study the DNA and medical history of 52,000 volunteers on the unique register held at UK Biobank – A charity established by a consortium led by The Wellcome Trust, along with some of the UK’s largest medical charities, and a set of government institutions, gathered an amazing 500,000 volunteers. They provided DNA samples through blood, urine and saliva as well as a full medical history and a commitment to answer ongoing questions. All of them were aged between 40 and 69. The project makes this incredible database available to researchers, like the team at Edinburgh, to aid their investigations into all manner of genetic conditions and their impact on our lives. The team took an important first step on the path to a predictive test with their findings. They established 287 genetic regions that were associated with hair loss, which speaks as much to the complexity of the problem as it does to the lack of progress to date. The simple fact that bald heads run in the family was confirmed, but some new insight was revealed. It turns out we receive 14% of our hair genes from the X chromosome, the type women carry a pair of. Where men carry one each of both the X and Y chromosome. 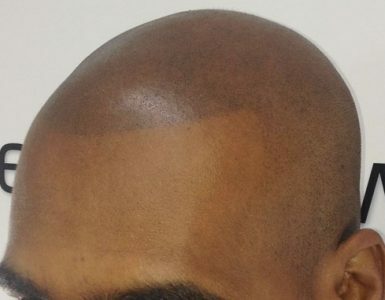 The contribution of that 14% to hair loss is exaggerated in reality because there it contains a disproportionately high level of the genes that trigger early onset male pattern baldness. So the hereditary element of hair loss is far more nuanced than was thought, and consequently all the more difficult to predict. The test, when it comes, will need to be a very smart piece of work indeed. The work will continue and the efforts of the Edinburgh team are to be applauded. The real promise of a truly deep understanding of the genetic composition of hair loss is probably for gene therapy. Which while it might hold the welcome promise of a bald father being able to one day look at his son and know that his hair is going to last him a lifetime, it is not a cure. That said there is no reason why we should not expect significant improvements on the current FDA approved list of medications based on an improved understanding of how these genes, and the hormones they are responsible for, operate. In the meantime. 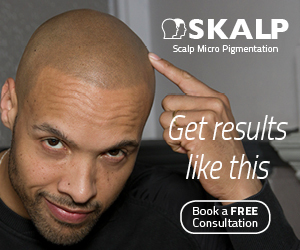 For sufferers of early onset male pattern baldness there can surely be no better option than Scalp Micropigmentation. 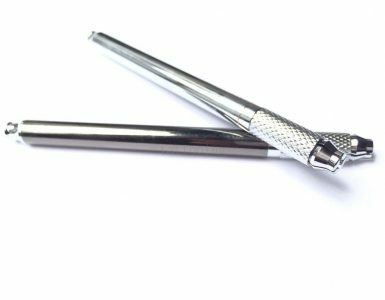 SMP is a cool, urbane look that is totally suited to a young lifestyle, however vigorous, one that can instantly return them to the social group that young baldness can so easily leave them feeling isolated from. If you are new to the idea of SMP click here to read our 5 good reasons to just go for it.If you have any questions about SMP why not get in touch, we are always happy to help. Click here for our contact page.